Musicals tend to be very family friendly fare, which is possibly why Turner Classic Movies has sprinkled several throughout the day and night Thursday, Thanksgiving Day. At the top of my list is Judy Garland‘s great Meet Me in St. Louis. I feel like the plot of this story of a large St. Louis family in 1903 does not matter much in the grand scheme of things. The narrative is marked by the romances of Garland’s Ester with the neighbor boy and sister Rose (Lucille Bremer) hopes her long-distance boyfriend will get around to proposing. The family as a whole also struggles with the idea of moving to New York as a year goes by. This picture marks the first encounter of Garland and Director Vincent Minnelli. The two feuded on set until Garland viewed the daily rushes and discovered how beautiful Minnelli was making her look. The young star had all kinds of confidence issues about her appearance, some of which stem from Louis B. Mayer’s pet names of “ugly duckling” and “my little hunchback.” The woman had also been reluctant to take the part that returned her persona to that of a teenager because she had finally found success in adult roles, such as For Me and My Gal. 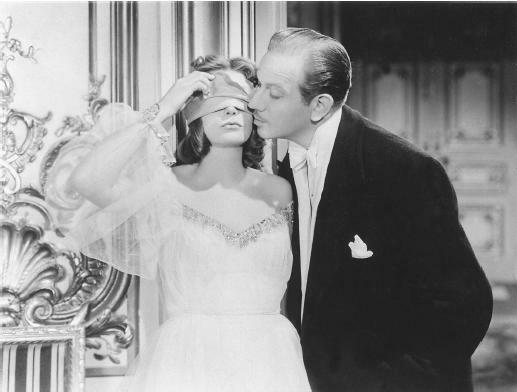 The new-found chemistry between the star and director led to a marriage in 1945 and four subsequent films. Despite being gay, Minnelli would father Liza with Judy before the two divorced in 1951. Meet Me in St. Louis is a great way to see Judy in one of her best roles and to sing along with the family to the memorable songs. Meet Me in St. Louis at 10 a.m. ET. The Music Man at 1:45 p.m. Anything Goes at 8 p.m.
Shall We Dance at 3 a.m. Flying with Music at 5 a.m.